The American astronomer and astronomical photographer Edward Emerson Barnard received the Lalande Medal from the French Academy of Sciences for his discovery of the fifth satellite of Jupiter. Edward Barnard was born on Dec. 16, 1857, in Nashville, Tenn. His early education came mostly from his mother; he was employed at the age of nine in the studio of a Nashville photographer, where he remained for 16 years. His training in photographic processes and his knowledge of lenses were later of great value in his pioneer work in astronomical photography. Barnard's interest in astronomy dated from 1876, when he read a stray copy of a popular book on astronomy and constructed his first telescope with a one-inch lens from a broken spyglass. Meeting Simon Newcomb the following year persuaded him that to do work in astronomy he must be well grounded in mathematics, so he worked in his spare time to educate himself. During the next few years Barnard continued to work in the photography studio, pursuing his astronomical studies in the evenings. 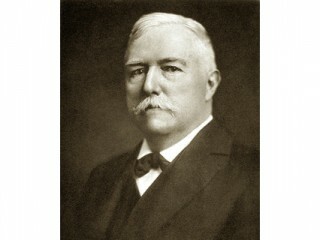 His discovery of a number of unexpected comets led to a fellowship at Vanderbilt University, where he received a bachelor of science degree in 1887. He was then appointed junior astronomer at the recently established Lick Observatory, which had a new 36-inch telescope, then the largest in the world. There he discovered the fifth satellite of Jupiter, followed by the faint and distant sixth, seventh, eighth, and ninth. He also began his photography of the Milky Way, securing the first of the beautiful photographs of its intricate structure for which he became famous. Barnard accepted a position at the Yerkes Observatory in 1895, and in 1897 he began observing with the great 40-inch photographic telescope (still the largest refractor in the world) that had been secured through the efforts of President William Harper of the University of Chicago and Edward Everett Hale, the greatest astronomical entrepreneur of the period. Barnard next began the micrometric triangulation of some of the globular clusters, which he continued for nearly 25 years, hoping to detect motions of the individual stars. The observatory's acquisition in 1904 of the 10-inch Bruce photographic telescope gave added impetus to Barnard's photography of comets and his mapping of the Milky Way. In all, Barnard collected 1400 negatives of comets and nearly 4000 plates of the Milky Way and other star fields. His published papers number more than 900. Barnard was married in 1881 to Rhoda Calvert of Yorkshire, England. He died in Wisconsin on Feb. 6, 1923, surviving his wife by two years. View the full website biography of Edward Emerson Barnard.